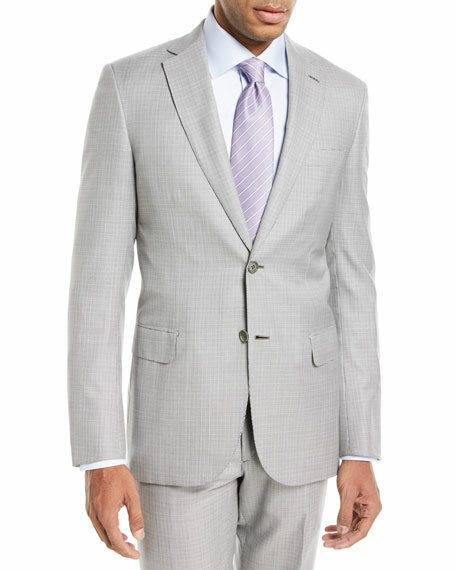 Brioni two-piece suit in houndstooth. 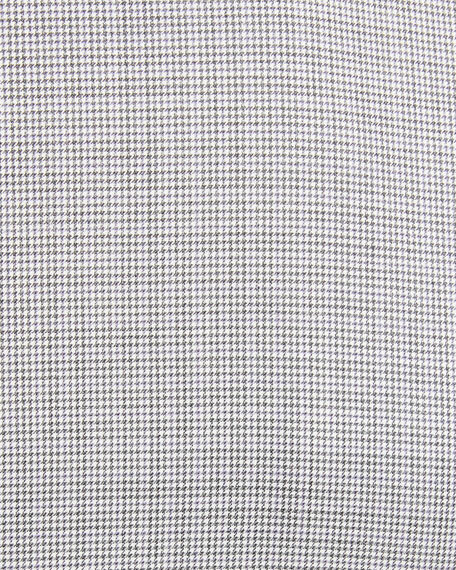 Includes matching straight-leg flat-front trouser with straight leg. Brunello Cucinelli bomber sweater reverses from heathered to solid knit. Baseball collar; snap front. Side snap pockets. Straight hem. Virgin wool/cashmere/silk/nylon/spandex. Made in Italy. 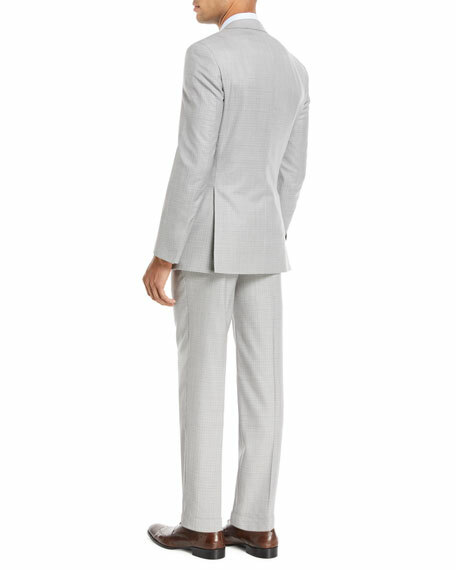 Model's measurements: Height, 6'1.5"/187cm, waist 32"/81cm, suit 40L, shirt 15.5x34, inseam 32"/81cm. Calvin Klein jeans in Zebra print detail. Five-pocket style. Button/zip fly; belt loops. Cotton/spandex. Made in Italy. 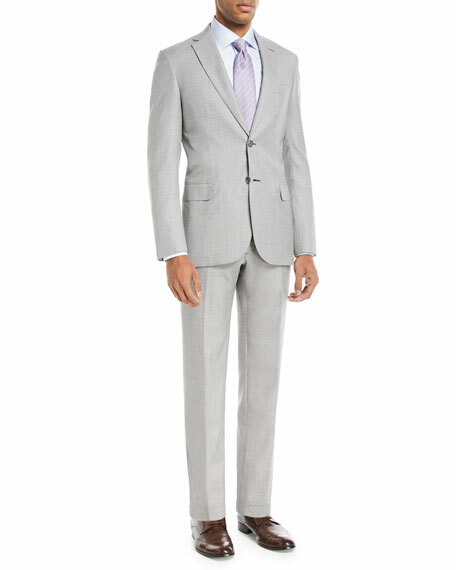 Model's measurements: Height, 6'2"/188cm, waist 31"/79cm, suit 38, shirt 15.5x38, inseam 32"/81cm. Helmut Lang aviator jumpsuit in solid twill. Peak lapels; zip front. Tab-adjustable cuffs. Zip pockets at chest; pockets at hips. Helmut Lang aviator jumpsuit in solid twill. Peak lapels; zip front. Tab-adjustable cuffs. Zip pockets at chest; pockets at hips. Relaxed legs fall from hips; zip details. Cotton. Imported.